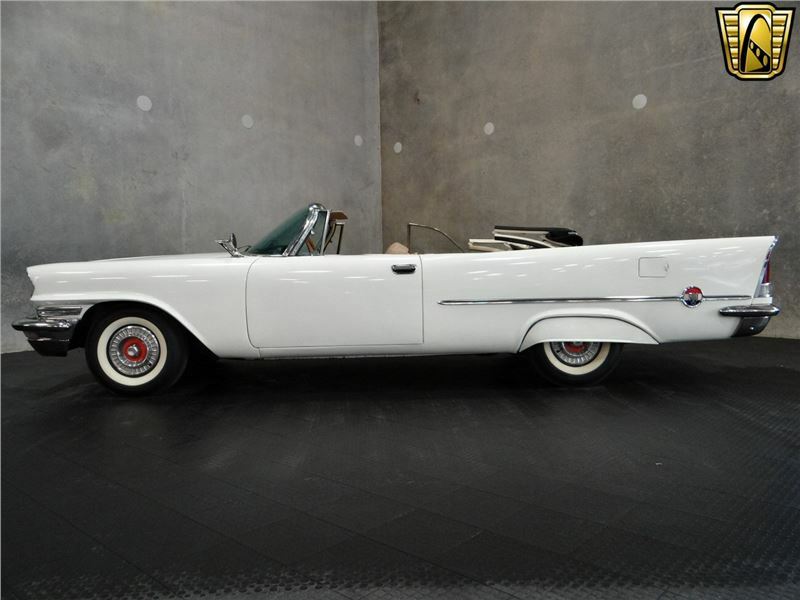 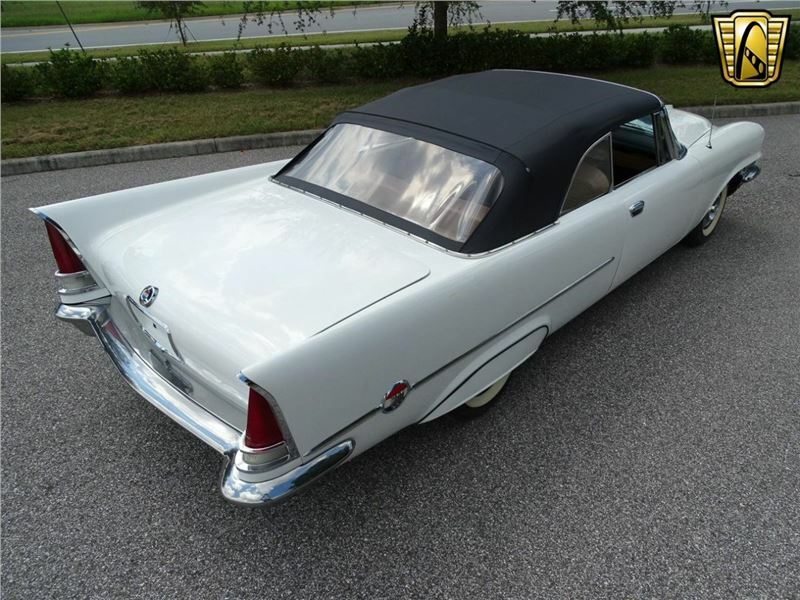 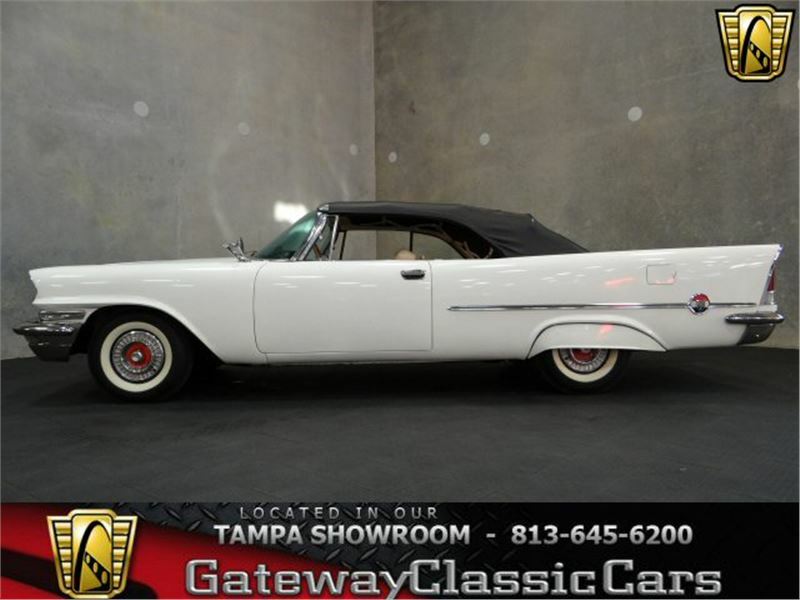 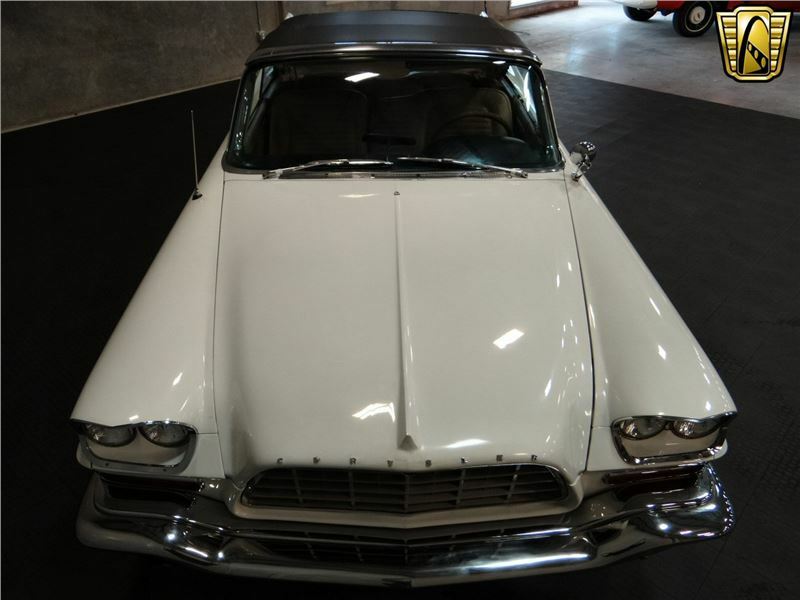 Gateway Classic Cars of Tampa is proud to offer this awesome 1957 Chrysler 300C convertible. 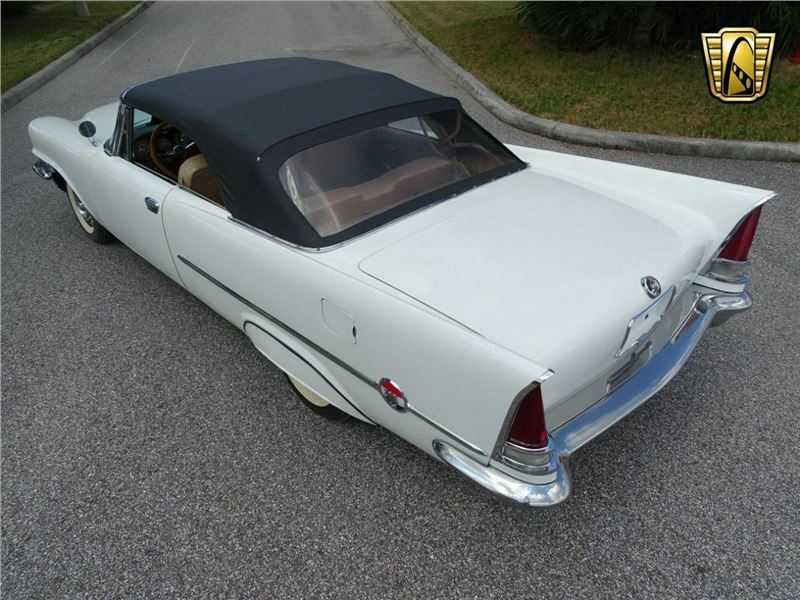 Only 484 Convertible 300C Chryslers were made in 1957 and it is said that less than 50 are all thats left in running order! 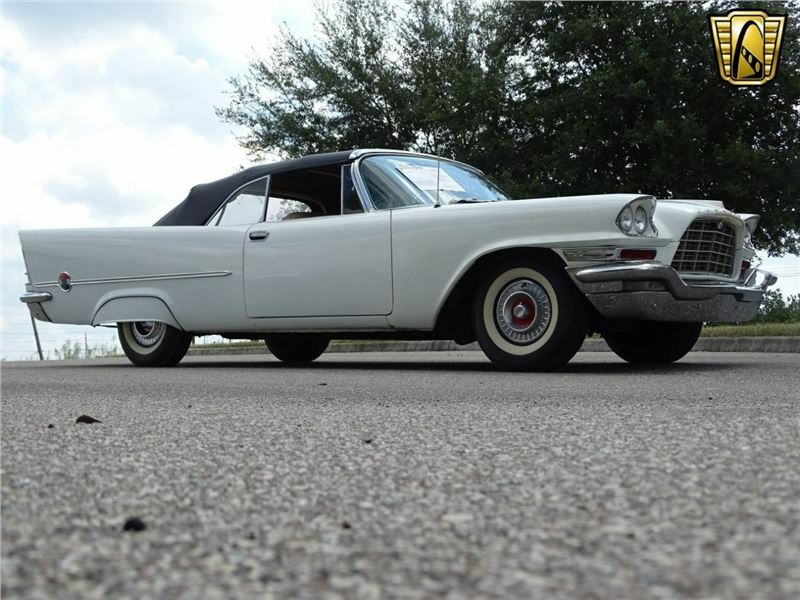 Sporting dual four barrel carburetors with NASCAR inspired dual air filters, this badboy was rated at 375 horsepower and 420 lbs of torque that topped out at 145+ miles per hour in the “Two Way Flying Mile.” The Chrysler 300 letter series were high-performance luxury cars built in very limited numbers by the Chrysler Corporation in the U.S. from 1955–1965. 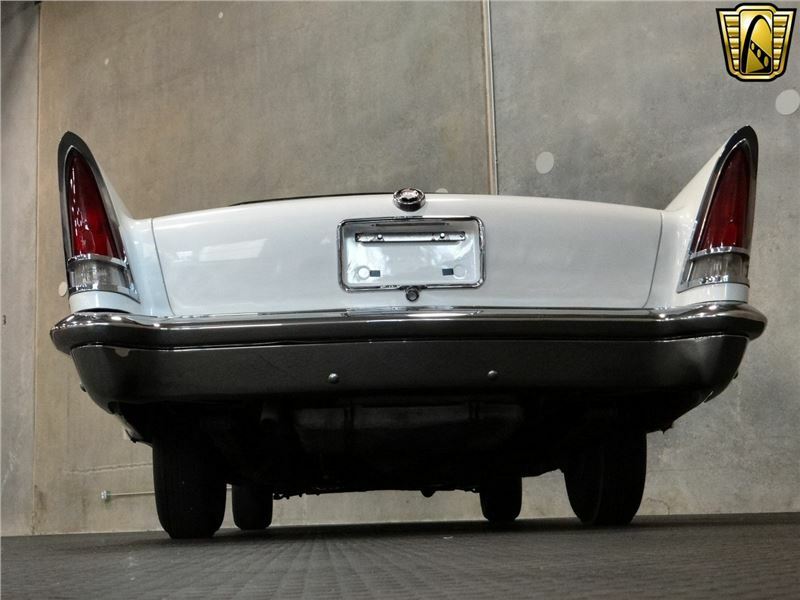 Each years model used a new letter of the alphabet as a suffix (skipping i), reaching 300L by 1965, after which the model was dropped. 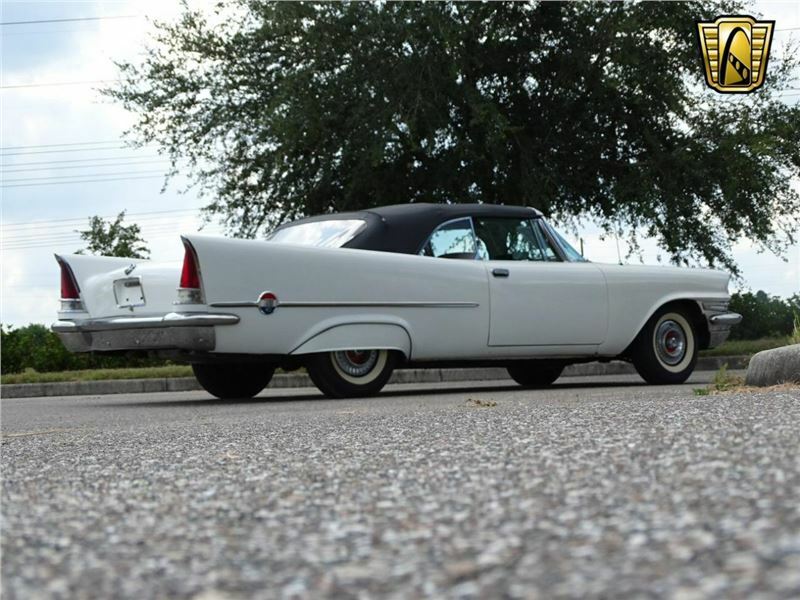 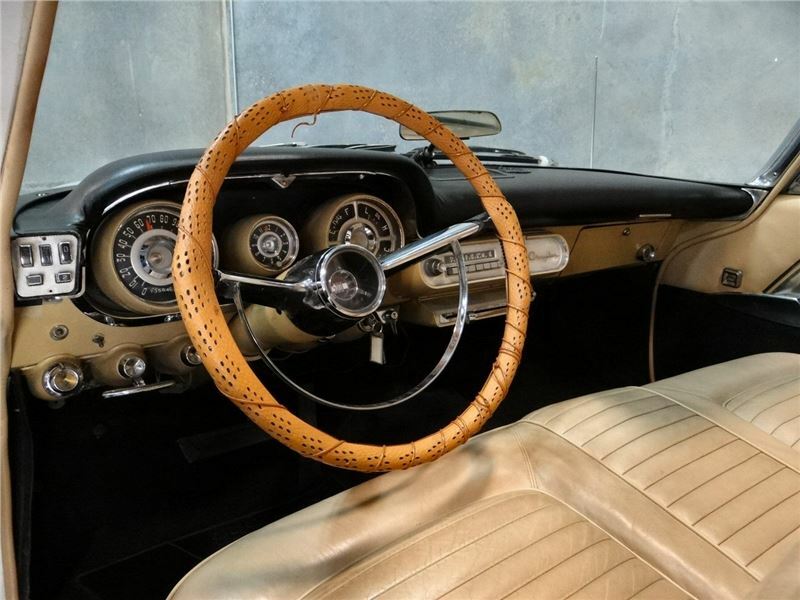 1957 was the first year a convertible was offered in the 300 series and was the pinnacle of performance and luxury. 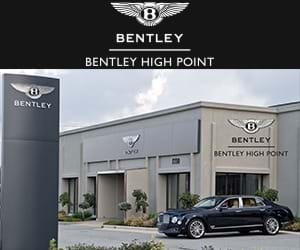 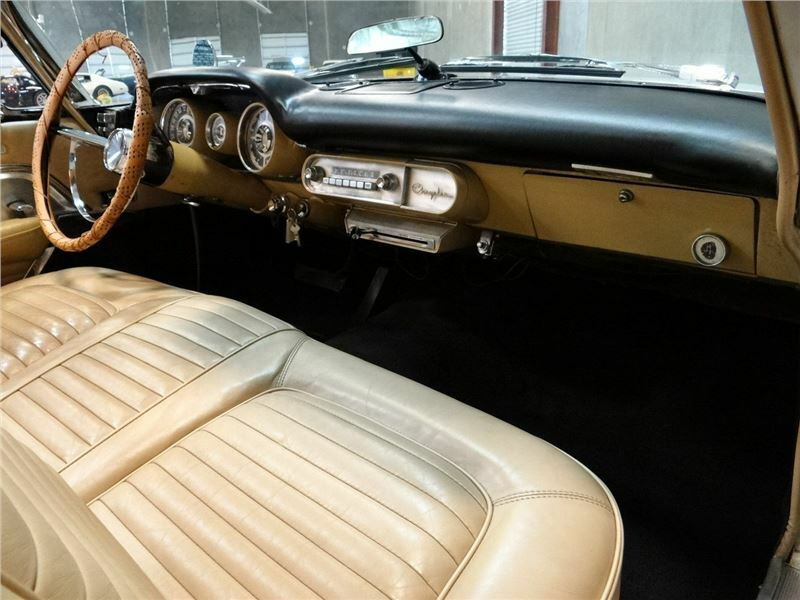 The Hemi head engine was backed by a 3 speed Torqueflite A488 automatic transmission which is great for cruising speeds, and really set the interior apart with its push button operation. 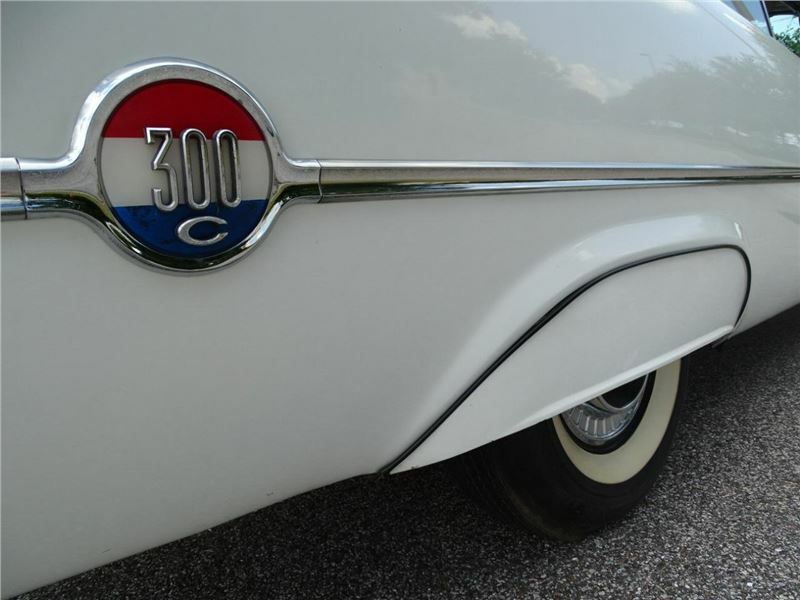 Unlike later Chryslers, the 300C was built using body-on-frame construction; that would last through 1959. 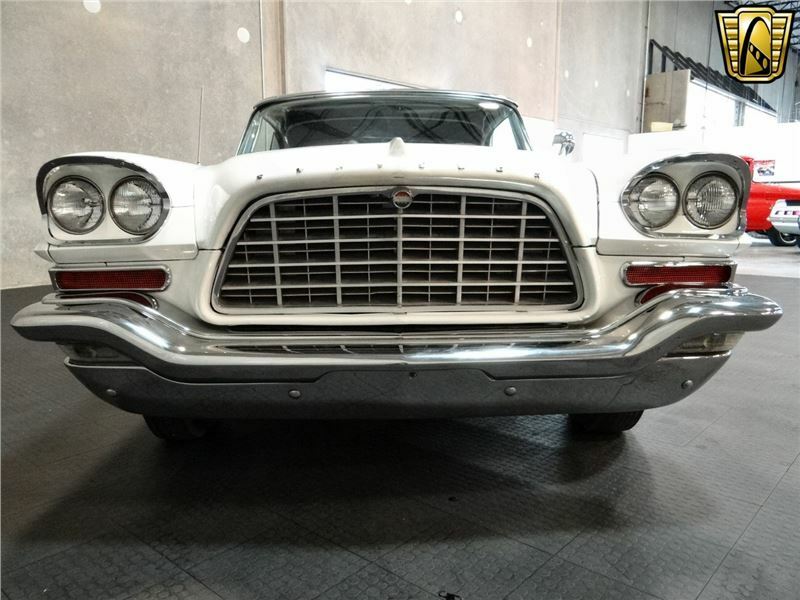 The 300C was based on the Chrysler New Yorker, with many changes that was more than just options and appearance. 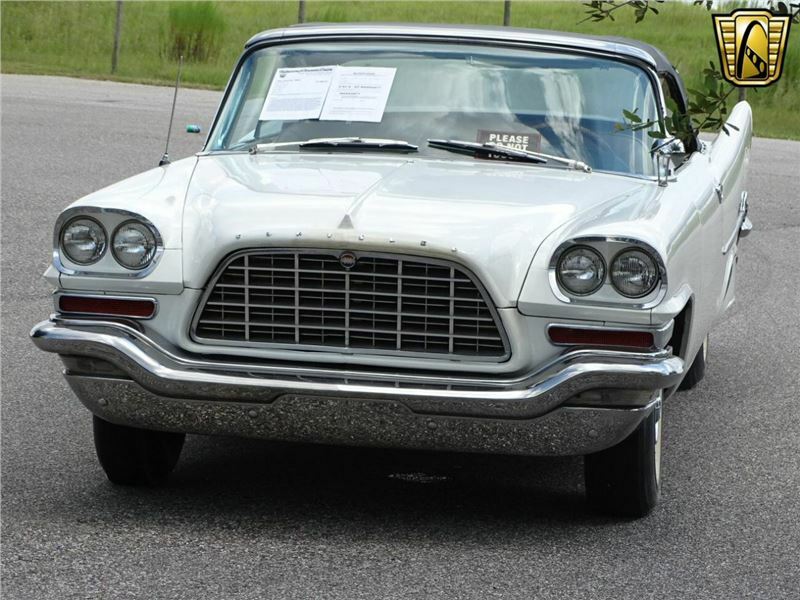 The height was just 54.7 inches; new dual headlights provided a claimed 75 feet more night vision. 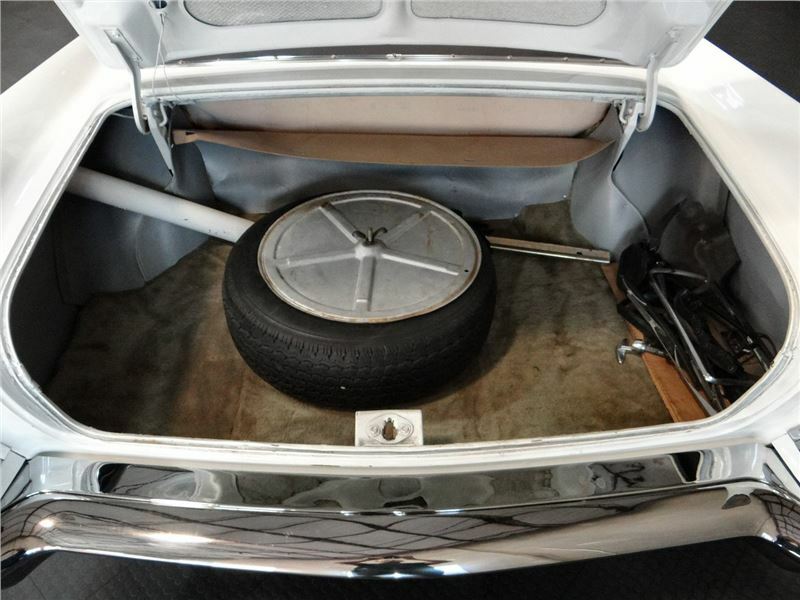 New 14-inch wheels were used. 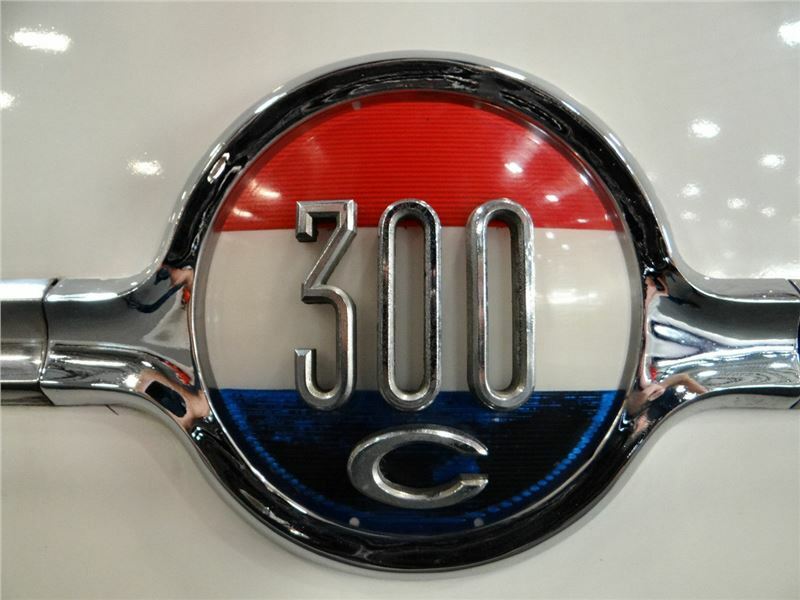 The 300C had a low stance, unique grille, large windshield, front door vent windows, brake cooling ducts, and a red, white, and blue emblem with the 300C logo on the quarter panel. 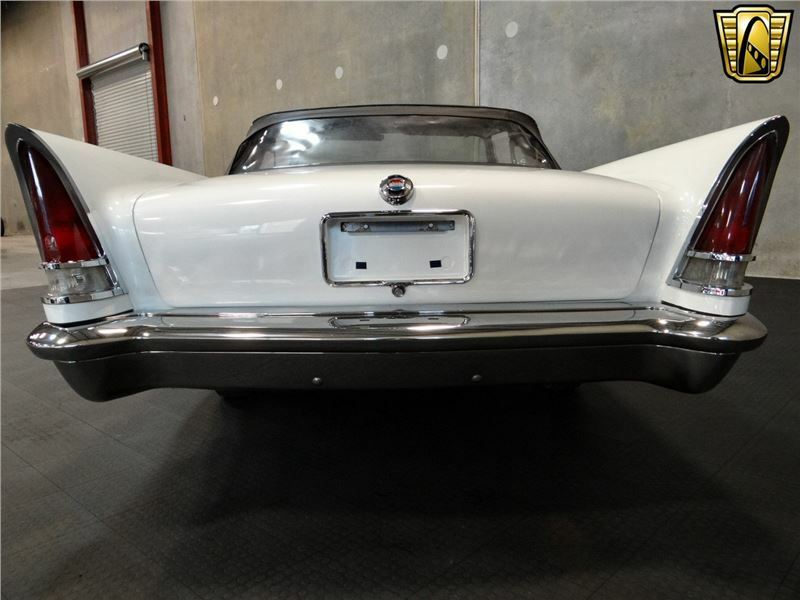 Twin backup lights were perched above large tail lamps. 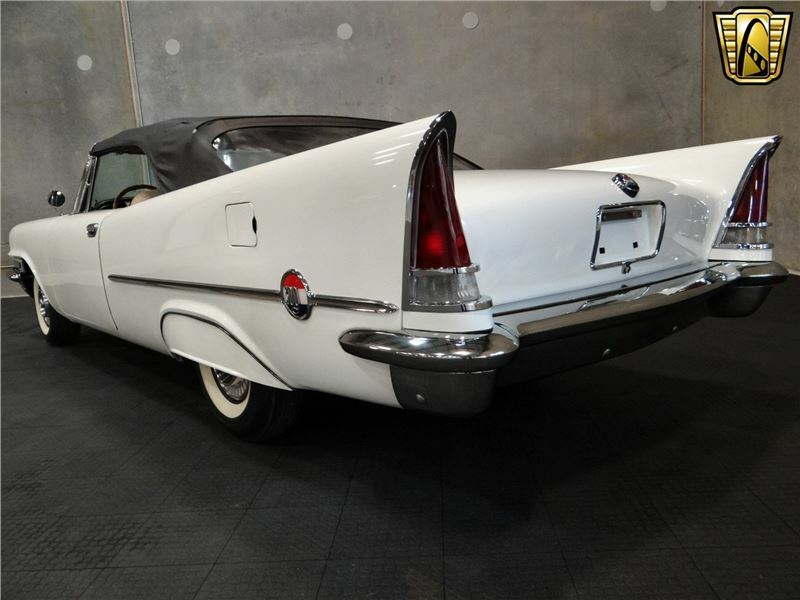 Tail fins - or rear stabilizers, as Chrysler called them - reportedly increased stability at high speeds, resulting in 20% fewer steering corrections in cross-winds. 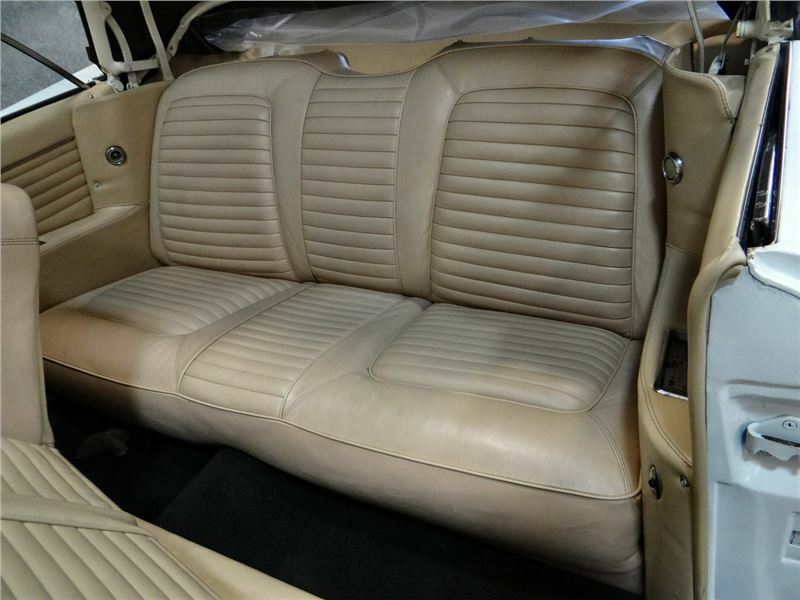 This example maintains a classy look with White exterior and Tan interior with White top. 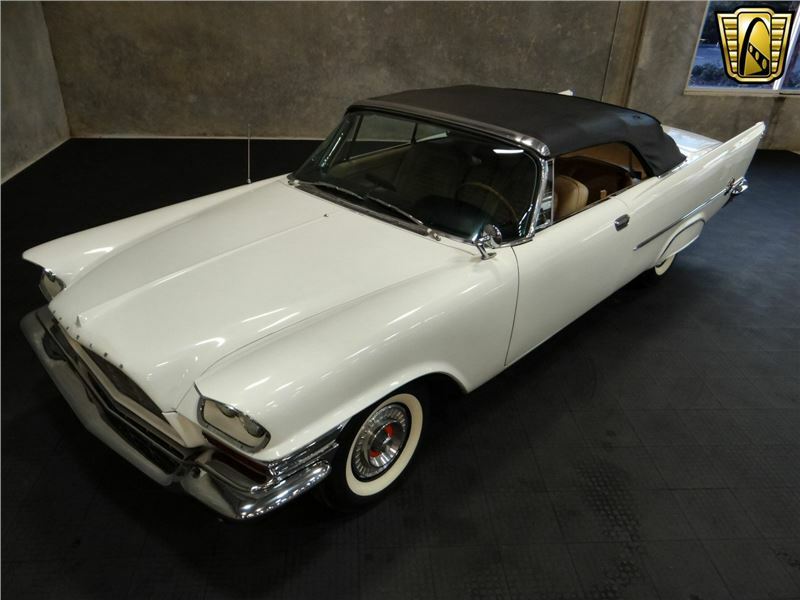 With just 73,564 actual miles (verified on the title), this car would make a great addition to any collection. 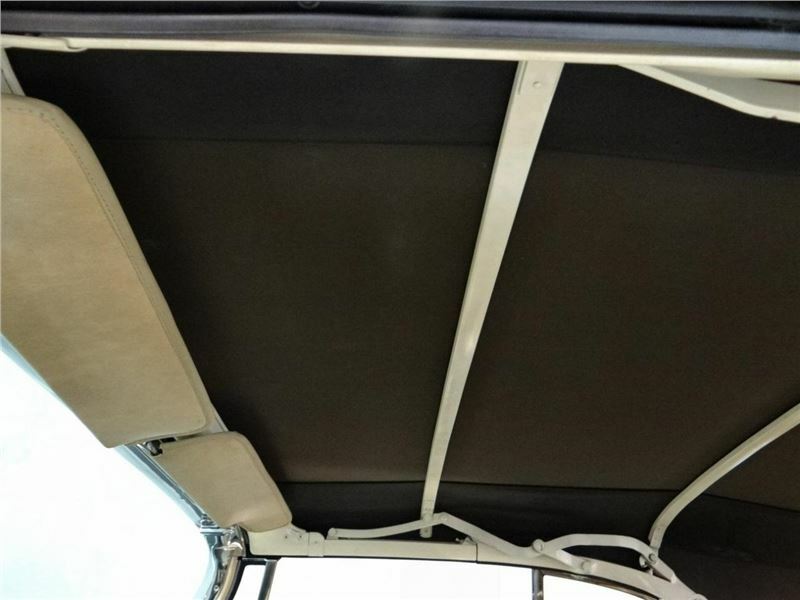 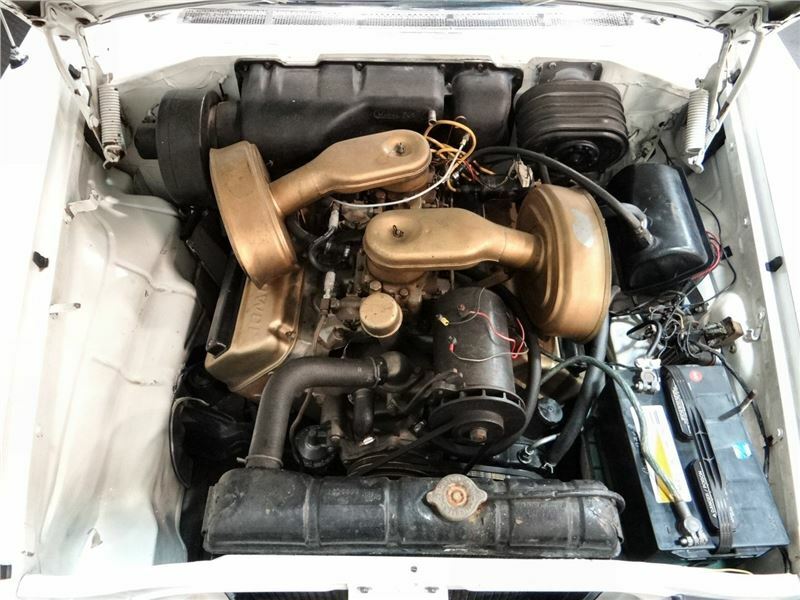 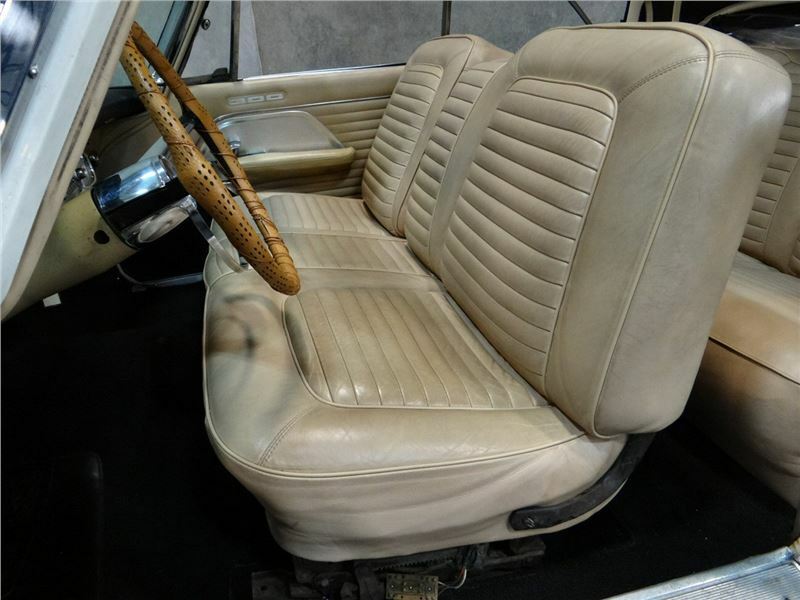 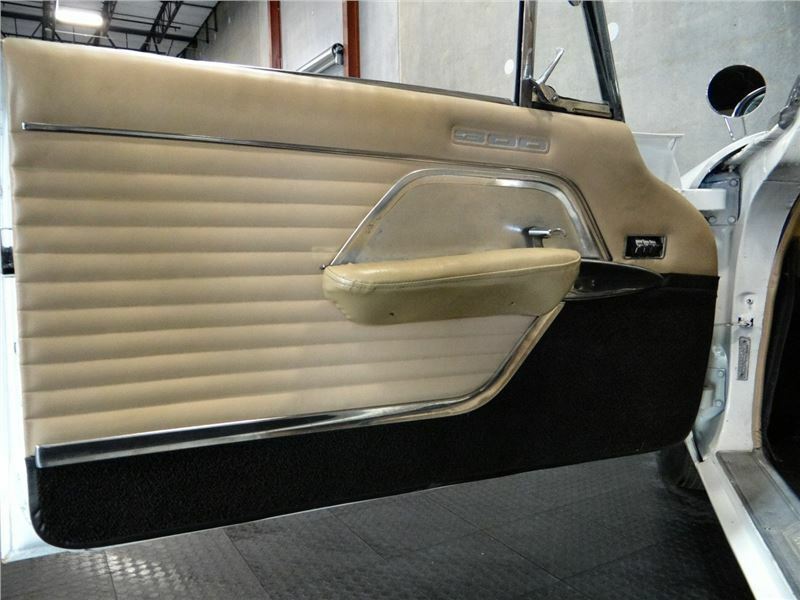 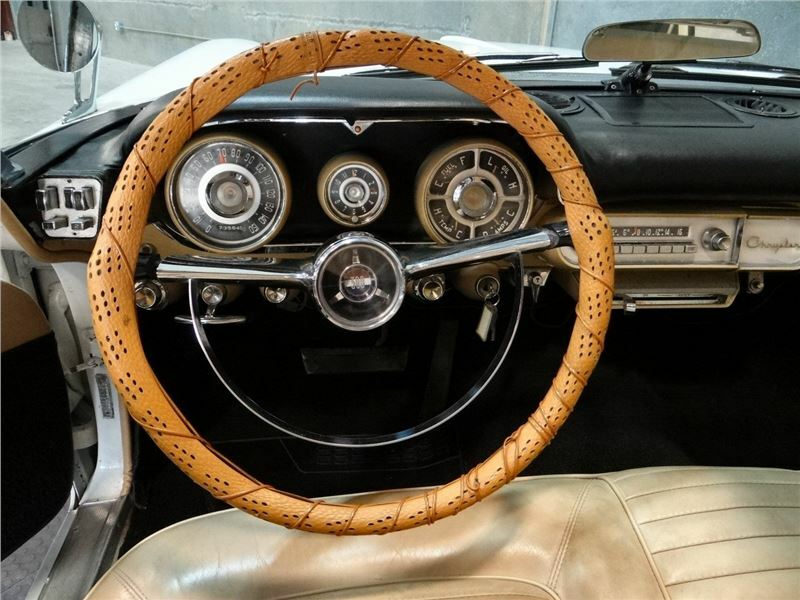 Options include: AM radio, convertible top, white wall tires, hub caps, bias ply tires, leather interior, power steering, power windows, and power seats (needs switch). 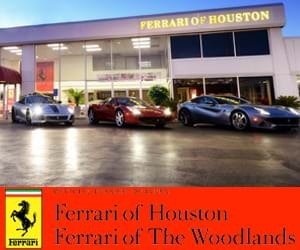 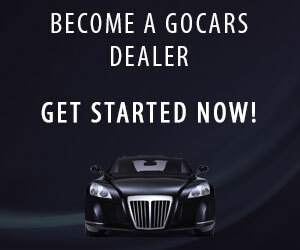 Dont wait any longer for this extremely collectible car! 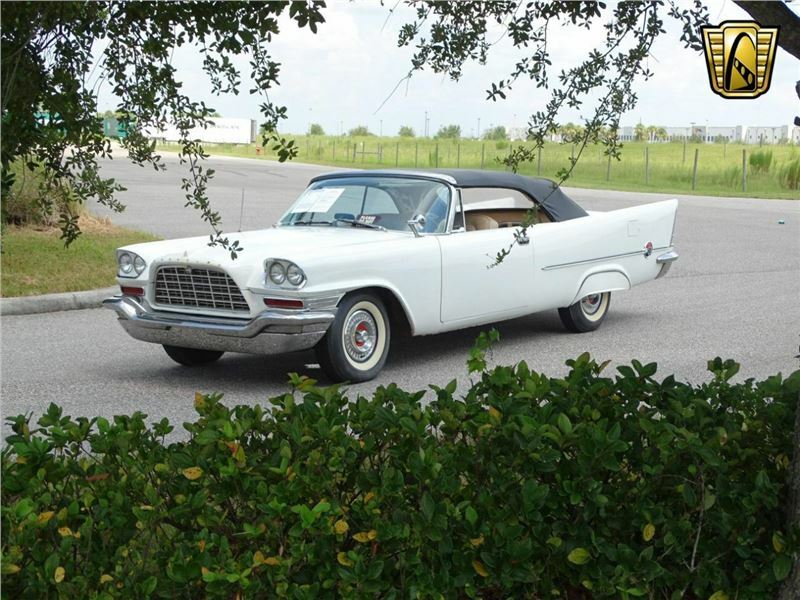 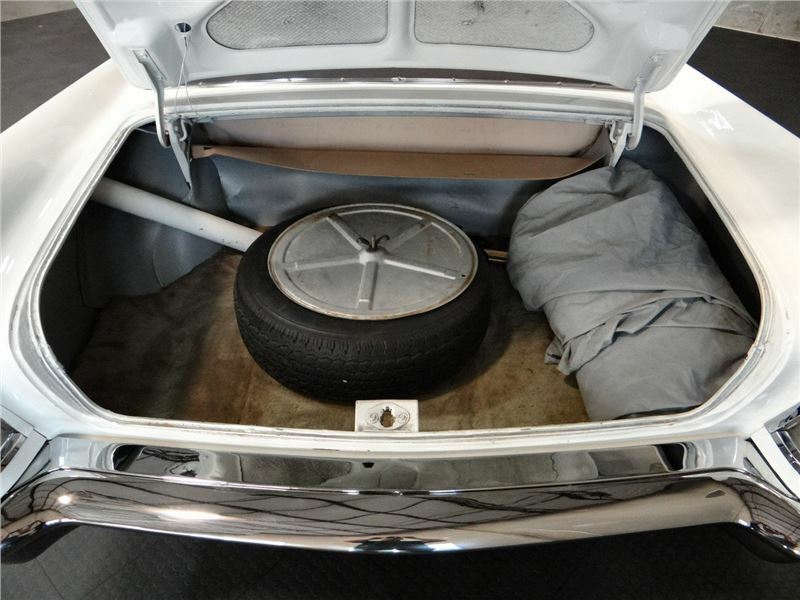 Located in our Tampa Showroom, this 1957 Chrysler 300C for sale can be seen in greater detail including HD pictures and video at www.GatewayClassicCars.com, or call 813-645-6200 for additional information.